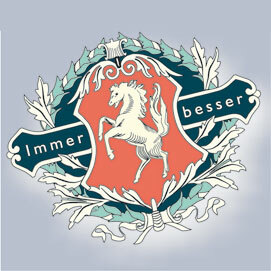 Since 1899, Miele has produced product on the philosophy of Immer Besser, or Forever Better. Forever Better means not worrying about selling the most products, but selling the best products. Forever Better means never resting on your laurels, but to always find a way to be better with every passing day. Since 1927, Miele has been building world-class vacuum cleaners and this legacy continues until this day. In the mid 90's, Miele unveiled a new concept in vacuum cleaners. Unlike many vacuums on the market that make filtration claims, Miele introduced their Sealed System design which guaranteed Certified-HEPA Filtration unlike many machine's that made HEPA filtration claims but couldn't deliver. Miele has continued to evolve with their Silence System, Variable Speed Motors, ABS Plastics and Comfort Cord Rewind, Miele is Indiana Vac's go-to canister line of vacuums. You would never buy a car without test driving it first, so why buy a vacuum without trying it first? Because not all households are the same, Miele has a full line of uprights, canisters and stick vacuums. The best way to buy a Miele is to call or visit us so we can discuss your needs and then recommend the proper model for your home and lifestyle. What might be perfect for your home, might not be suitable for your neighbors. We specialize in finding the perfect vacuum for your home and your lifestyle.